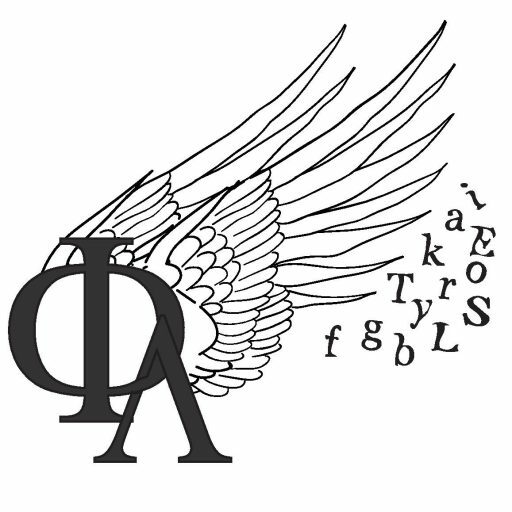 Fterota Logia, or ‘winged words’, is a translation of the classical Greek expression ‘epea pteroenta’ used most famously by Homer. For Homer, the expression was used to either signify the importance of the words (the passion), to signify spontaneity in language or to connote ‘unusual truths’. This feels very in tune with how young adult literature works for its intended audience. Additionally, it reminds us of the connection between YA literature and folklore/myths. Fterota Logia aims to encapsulate the essence of young adult literature, while also providing a space for open discussion and theorizing of the genre. Our mission is to create a forum where new works of young adult fiction will be celebrated. Our mission is to cultivate intellectual discussion and a deeper understanding of the importance of young adult literature. We will accept any and all types of submissions – the beauty of living in a digital world is that we have unlimited digital space! – and will give each submission equal consideration. We are dedicated to working with authors to help them reach their full potential. We want every author, every child who puts pen to paper or adult who wants to indulge their creativity, to learn and grow. We will scout out new authors and voices, those who love YA and those who hate it, those who are young – in body or in spirit – and those who have an intimate connection and understanding of young adult literature. We aim to fill our journal with insightful interviews, feature columns, and more. Fterota Logia will be updated frequently with content that we hope will both entertain readers and instigate new conversations among them. And, finally, we hope to be a gateway towards publication – whether through our own press or another’s – for authors and scholars alike.